With poaching so prevalent, too much space and too little manpower, a different approach is being utilized to stop poachers. Dogs. 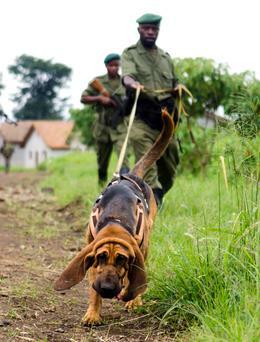 In the Congo, an elite canine anti-poaching unit is employed to track down elephant poachers. Specially trained bloodhounds, who require a 2 year training program, have already aided rangers in chasing poachers down. In Virunga National Park, the first instance out they pursued the suspects for 7km. 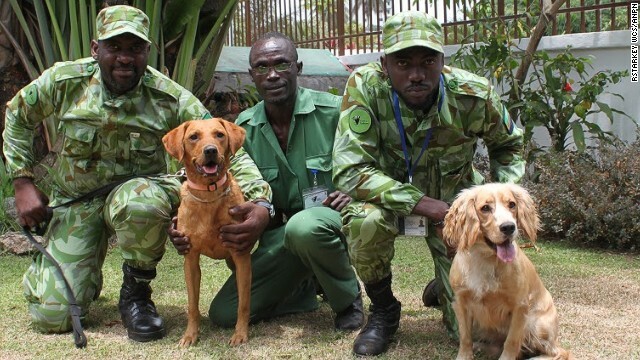 In Gabon, dogs are being utilized in the airport to detect illegal wildlife. The program has been quite successful, with the canines finding shark fin and bushmeat in addition to ivory. 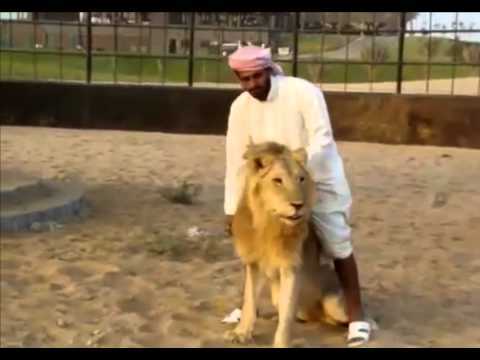 Gabon’s tracking team works for a tennis ball. 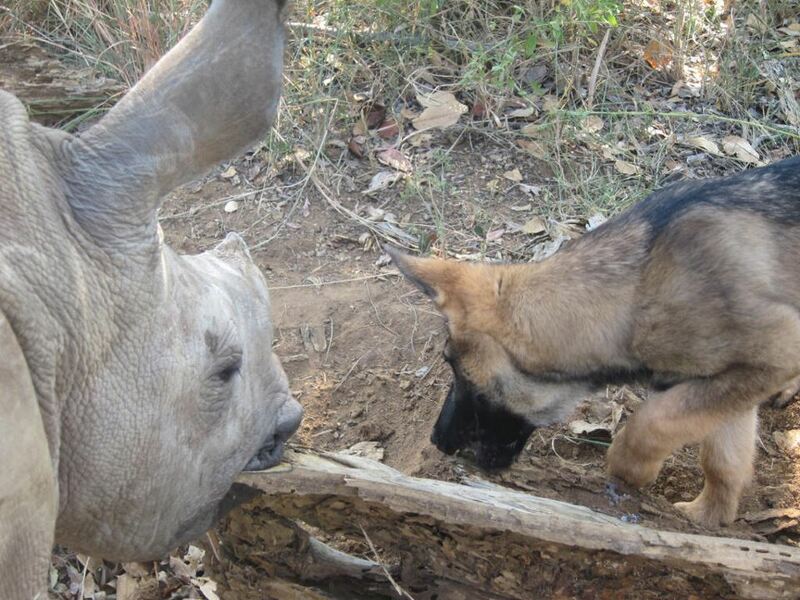 Green Dogs Conservation and Congohounds are two non-profit groups situated in South Africa, specializing in training dogs for anti-poaching and other conservation purposes. Trained similar to police dogs, they are given basic training and aptitude testing, matching the right dog to the right situation. As Green Dogs points out, 60% of the brain of a dog is devoted to smell. They can detect scents we aren’t even aware of. Congohounds states, bloodhounds can detect a single smell out of 5 million! Search and rescue dogs have long been trained to find people, landmines, drugs, and even cancer. With their phenomenal sense of smell and high energy, it’s a perfect fit to train them to track and detain poachers. Duma and Ntombi getting acquainted. With direct correlation to their economic growth, Vietnam is responsible for much of the demand of rhino horn these days. Unfortunately in addition to the traditional Chinese medicine, horn is a status symbol and shows how affluent one is. Not to be let off the hook, China is a guilty party as well. With horn being touted as a cure to everything from headaches to cancer, it’s still highly desired for supposed medicinal properties. In the midst of all the demand, is the country with the world’s supply-South Africa. 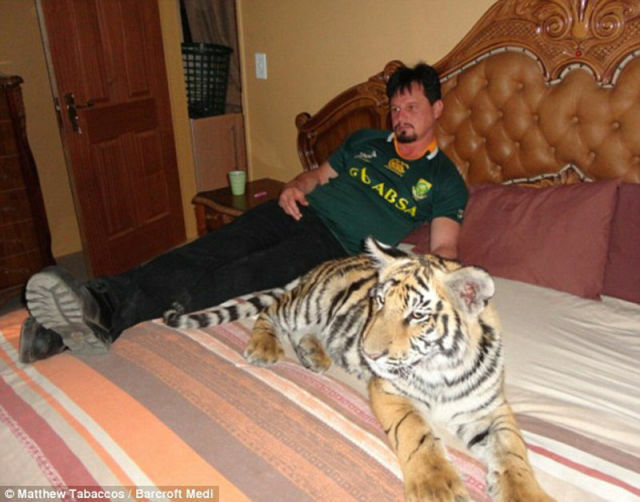 In an interesting article “Poaching, Is There an End in Sight?”, wildlife activist Colin Bell believes SA is driving the demand for ivory and rhino horn. He suggests there should be hunting bans on all wildlife, especially rhinos. Just back from Kenya. What an amazing experience-getting to see, hear and live the culture I’ve heard so much about! I’ve learned new things, made new friends, and of course was “over the moon” seeing all the magnificent wildlife I love so much. 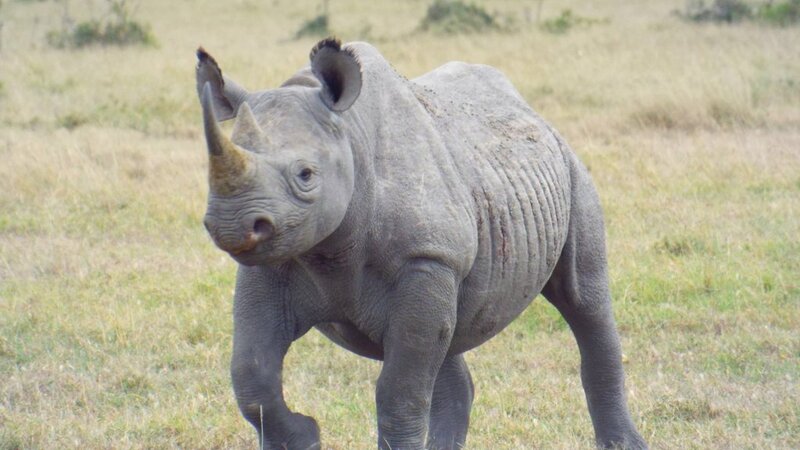 My prized memory was at Ol Pejeta; seeing a black rhino in the distance. After a bit, he came galloping out of the bush at us. He stood there for minute or so as if sizing us up, then turned and ran back. It was incredible. There were a few rhino in the Lake Nakuru area as well. But, having been to Samburu, Amboseli, and Masaai Mara, the one disturbing theme was “There used to be rhinos here.” There are now none in Samburu or Amboseli, and rare spottings in the Mara. With poaching stats at almost 800 for this year alone, it’s no wonder they’re so hard to find. 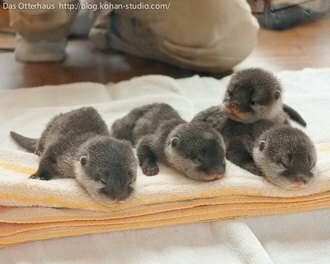 Being there in person, and searching so eagerly for them, it really brought it home-they are living on borrowed time. There’s no time to debate or discuss trade, no time to hope CITES comes around and enacts sanctions on the guilty countries responsible for demanding the slaughter of a species. Certainly no time for rhino activists to argue and squabble amongst themselves. Less talk, more action; the clock is ticking! I’m in Kenya! Looking forward to sharing my adventures with you and hopefully lots of photos. 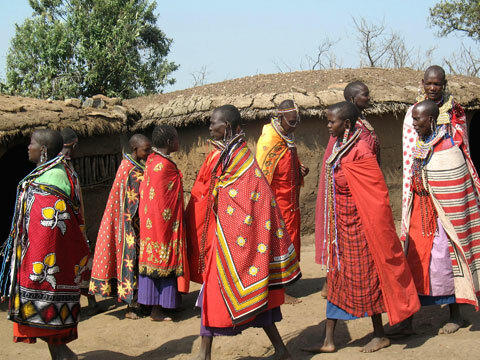 Located on the banks of the Ewaso Ng’iro River, the Samburu Reserve was one of the places in which Elsa the famous lioness was raised by Joy and George Adamson. 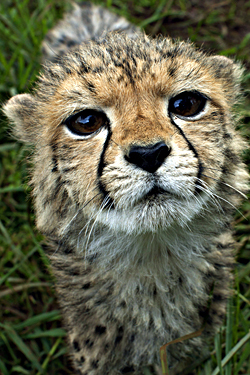 It is also home to Kamunyak, the lioness famous for adopting oryx calves. In addition it is home to all three big cats, elephants, hippo and buffalo, among others. 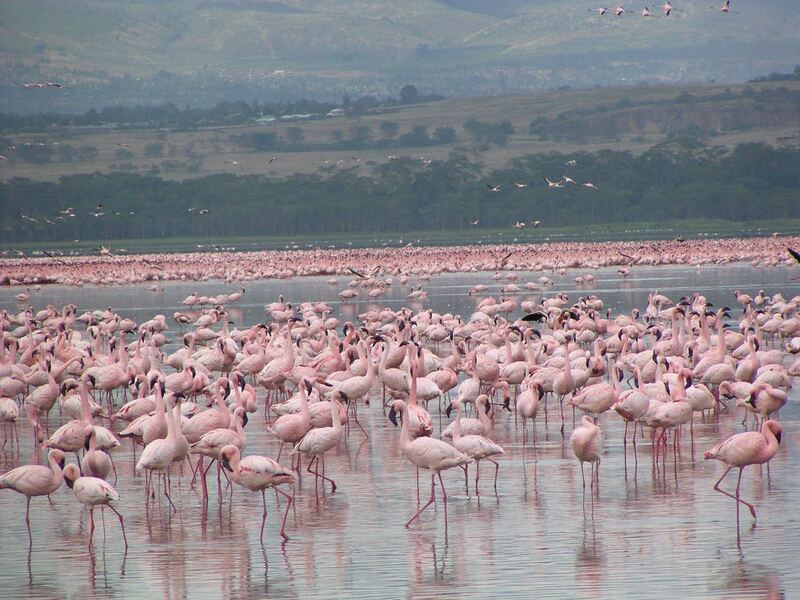 Part of the Great Rift Valley, Lake Naivasha is a freshwater lake west of Nairobi. The name means “rough water”, due to the storms that can suddenly arise in the area. It is at the highest elevation in the Valley. There are a variety of wildlife here, including 400 species of birds and a large population of hippo. 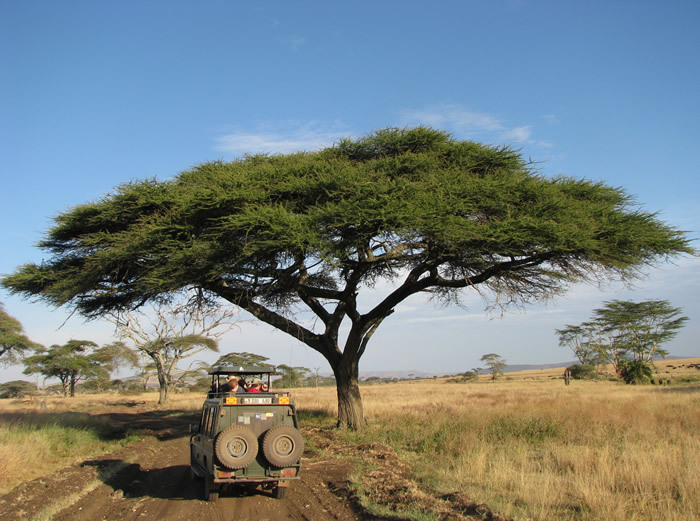 Covering 1500 sq km, the Masai Mara is primarily open grassland, and one of the most popular tourist destinations in Kenya. 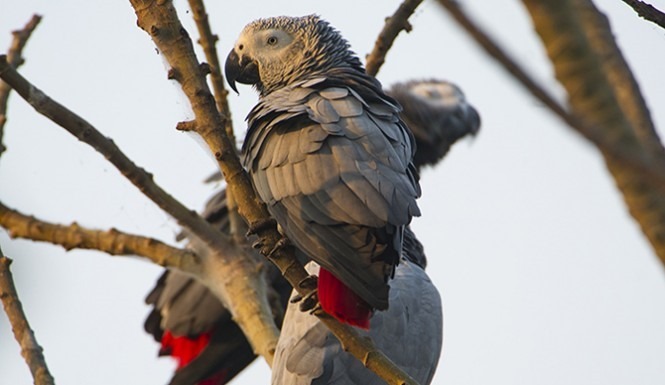 There are 95 species of mammals, amphibians and reptiles, and a variety of birds. Of course, the “Big Five” (elephant, rhino, leopard, buffalo and lion) are among them all. The Great Migration is a monumental wildlife event to behold on the Mara from July through October. 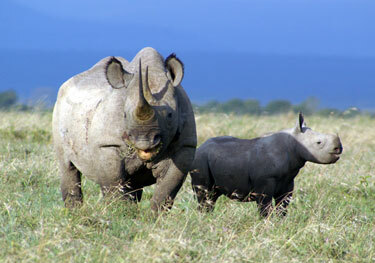 Ol Pejeta-the place I’m especially excited about-is East Africa’s largest black rhino sanctuary. This is also the home of the only four surviving northern white rhinos on the planet! 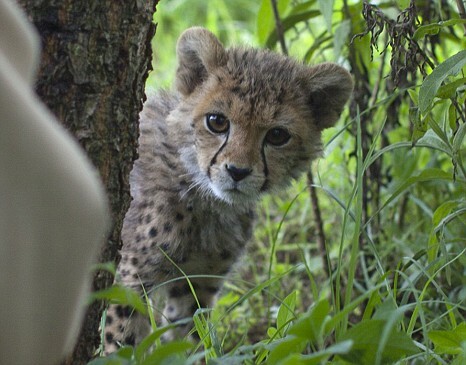 These people do amazing work in the conservation of wildlife and outreach to the community. In addition, it is home to a population of chimpanzees. 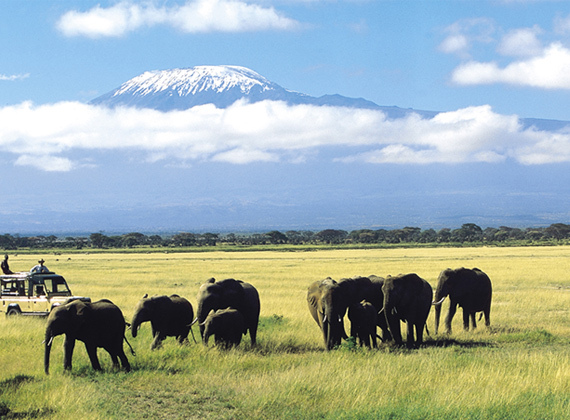 Spreading over both Kenya and Tanzania, the Amboseli National Park is well-known for elephant viewing. Mt. Kiliminjaro and the “Big 5” can be seen here as well. More to come…when I’m back! Zimbabwe- has a poverty rate at 63%, faces economic crisis and questionable human rights violations. Yet this unsettled country may hold the key to rhino conservation. This is thanks to the Lowveld Rhino Trust. The LRT is centrally involved in the protection of 90% of the country’s black rhinos in private reserves. With most of Zimbabwe facing the same loss of rhino as other African countries, LRT is solely responsible for a 10% increase in the black rhino population. Since 2009, they have worked tenaciously against poaching, attempting to slowly rebuild the rhino population. No easy feat, as they are in the midst of their country’s political and economic turmoil and unrest. Like other efforts across the African continent, they relocate rhinos from unsafe areas to higher protection zones. They fight the same fight, stepping up anti-poaching units, maintaining security and tending to individual rhinos. Yet the key to their success may lie in their localized efforts. They provide support to the local schools, the amount of their efforts and contribution directly hinging on the rhino growth population. 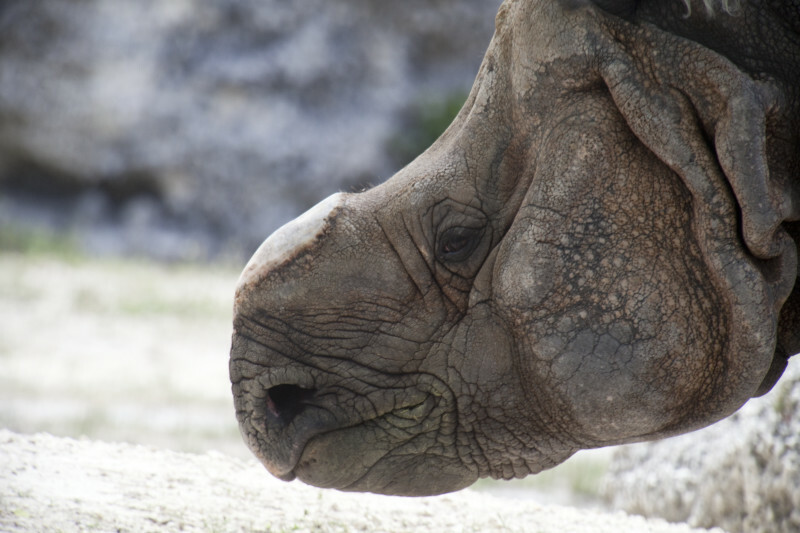 If the rhino populations are thriving, schools receive extra funds from the LRT. If poaching is taking its toll, the funds are removed and applied to extra anti-poaching units. The idea is to provide incentive to the people to save their rhino, in turn this applies pressure on the poachers from their own communities. As diligent as anti-poaching units are, they cannot be everywhere all the time, so this gives them additional “eyes” and “ears” on the ground. Win for the rhinos, win for the people. 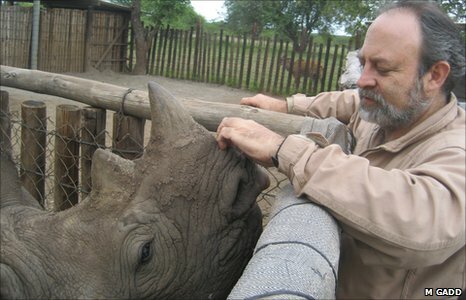 “We have made many enemies in both the public and private sectors by our efforts to wrestle rhinos away from those who attempt to keep them in ever declining populations, but we have seen annual population growth rates of around 10% as result of our efforts at demographic consolidation in adequately extensive and more secure areas of good habitat, which means that the rhinos can save themselves as the evolutionarily successful species that they are,” says du Toit. 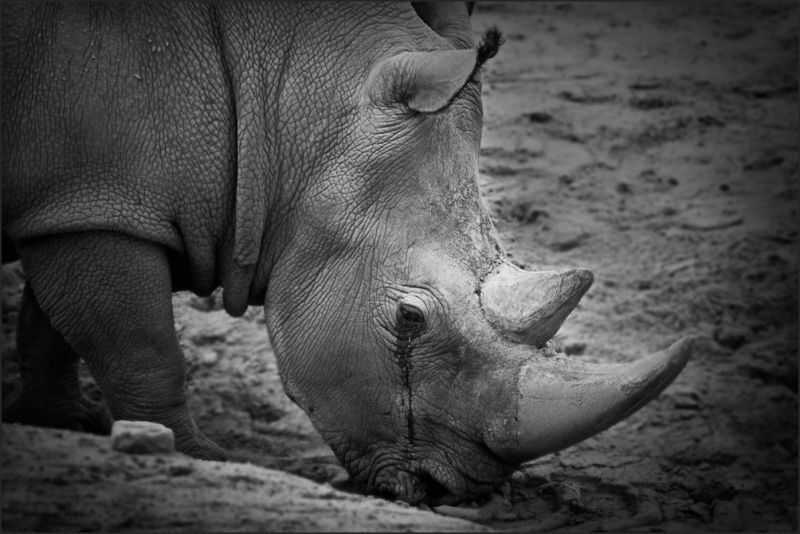 “We try to maintain a situation in which rhinos can save themselves through effective breeding. By concentrating our efforts on the areas that have ecological and economic potential for large, viable rhino populations rather than frantically ‘fire-fighting’ to maintain fragmented populations, we can build and maintain the larger populations to the level that poaching losses (which can never be totally avoided under current funding constraints) are more than compensated for by births,” du Toit says. which is centrally involved in the protection of around 90 percent of the country’s rhinos in private reserves along with conservancy members, has proven tenacious and innovative in its battle to safeguard the nation’s rhinos from the poaching epidemic.